“What supplements should I take while pregnant? ?” I have been asked this so many times! As mothers we always want to do what is best for our children, and that starts during pregnancy. 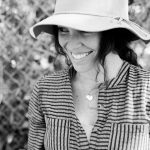 There are some really helpful things we can do while pregnant to benefit ourselves and our growing babe. There is also the potential to over-do it, so we need to be careful about what we take while pregnant. I once heard it put this way- “you need to be gentle, because something that your body likes may not be what your baby likes”. This is great to remember & also great for all the minimalists out there. You don’t have to do very much while you’re pregnant in terms of supplements. Ideally, pregnant women could get most of the nutrients they need for themselves and their baby through a diet rich in fruits and vegetables. However if you suffer from intense nausea and sickness, that may be a challenge. Do your best to eat greens and fruit as much as you can. A diet high in fruit will help keep your vitamin C levels up and your immune system strong. Eating plenty of greens or taking a greens supplement while pregnant can help ensure that your baby is born with a good vitamin K level. This leads me into recommendation number one- Spirulina. Having spirulina (preferably Hawaiian Spirulina) in your diet every day delivers a powerful amount of nutrition to your cells and to your baby. It is a great source of Vitamin A, Vitamin B12, and has a good amount of vitamin K and iron as well. You can mix 1 tsp in juice or a smoothie. If the taste is not palatable to you while pregnant, spirulina comes in tablet form that you can take instead. Prenatal herbal tea- this stuff is so good! It contains herbs specific to pregnant mothers to help with immunity (rose hips), hormones (red raspberry leaf), nausea (spearmint), and blood building (nettle leaf). It is great to drink this every day of your entire pregnancy. Prenatal vitamins. There are so many to choose from, and you really have to be careful about what brands you trust. Not all vitamins are created equal even if the labels appear the same. 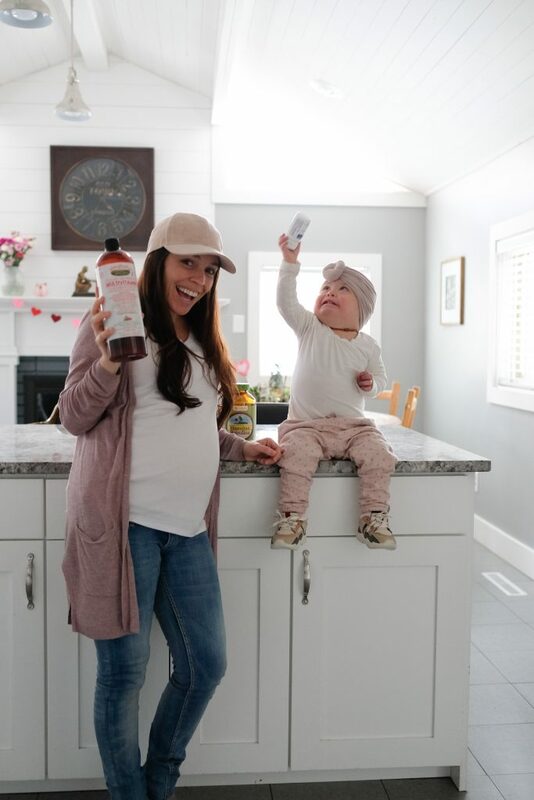 I personally use Mary Ruth Organics liquid morning multivitamin as my prenatal. Why? It is made from whole food vitamins (not synthetic vitamins), has a full amino acid profile, and no funny business. No added ingredients that shouldn’t be in your body. Plus, it tastes good and it may be easier to get and keep down for mothers who struggle with intense nausea, as swallowing pills can often be difficult. In addition to the morning multivitamin, Mary Ruth Organics has a nighttime multi-mineral that is really great. It contains minerals like calcium and magnesium that are so important for mama and baby. Magnesium has been found to augment over 300 functions in our body. For a pregnant woman, magnesium can decrease and help control things like: morning sickness, leg cramps, premature contractions of the uterus, constipation, insomnia, muscle aches, and high blood pressure. Magnesium may help prevent preeclampsia, a dangerous rise in blood pressure that can happen in the last half of pregnancy. The Mary Ruths nighttime mineral contains over 500mg of magnesium, along with other minerals and amino acids that I have come to love during this pregnancy! It promotes a good nights rest and a nice calming feeling. It also tastes great and is easy to take. If this particular supplement doesn’t work for you, I recommend taking a magnesium supplement by itself. Magnesium glycerinate is one of the best forms you can take orally. I personally use the one linked below from Pure Encapsulations. Magnesium can also be absorbed into the body by soaking in an epsom salt bath or by use of a magnesium spray on your skin. This helps directly with muscle aches and pain that many women get in later pregnancy. Soaking in an epsom salt bath three times a week can be very therapeutic. Lastly, supplementing with nascent iodine is very helpful. Adding one single drop to juice or a smoothie a few times a week can help to keep your thyroid strong during pregnancy, and also aids in the development of your babies brain. Several studies have come out in recent years acknowledging iodine deficiency in pregnant mothers and its dangers. It is important for your growing baby and you to get iodine. Many women who develop thyroid issues notice that they start during or right after pregnancy- iodine may help this. Remember you only need a little bit, one single drop will do! These are the main things that I take every day. Spirulina (a form of blue green algae), Mary Ruth’s morning multivitamin and Mary Ruth’s nighttime mineral. If I don’t have the nighttime mineral I take the plain magnesium. I do add a drop of iodine to my spirulina drink about 4 times a week. There are specific things that your body may personally need in addition to this, like iron or vitamin D, and can be determined by your prenatal blood work. Iron deficiency anemia can be acquired as you go through your pregnancy as a pregnant mothers blood supply doubles, so it is helpful to be aware of the symptoms. You may need to get your blood re-tested or take iron according to symptoms if you start experiencing the following: Fatigue, weakness, shortness of breath- especially after physical activity like climbing stairs, bloody noses, headaches, pale skin, dizziness or lightheadedness, racing heart, persistent nausea. Treating anemia in pregnancy is very important for mother and baby. I will link a couple iron supplements below that I like. You can discuss which is best for you with your health care provider. Eating or supplementing with greens will also improve your iron levels. Vitamin D may be needed if your blood work comes back showing low levels. The multivitamin and nighttime mineral from Mary Ruth both contain vitamin D, so if you take those you may not need additional vitamin D depending on what your level is. Folate. Folate is important for preventing neural tube defects and is most beneficial during the first trimester of pregnancy as the neural tube is closing around the spine. It is good to make sure you are getting some source of folate even prior to conception if you are trying to become pregnant. Most multivitamins contain folate. You want to make sure the vitamin you take contains folate, not folic acid-a synthetic form of the vitamin. I personally felt the need to take an additional folate supplement during my first trimester in addition to my multivitamin, but this does not need to be the case for everyone. I took 1mg of methylfolate daily during my first trimester which I will link below. Folate is a B vitamin that aids in the methylation process, so it is not harmful to take a little extra. What about heartburn in pregnancy? Ugh, pregnancy heartburn. Nothing quite like those blades of fire running up and down your throat. This is a problem for so many women as our organs all get squished to make room for our cute baby. I have been able to avoid taking over the counter or prescription medicine for heartburn by using Papaya Enzymes- they have worked WONDERFULLY. They are chewable tablets that you take when the heartburn comes on. The bonus is that they actually taste good! Its like a little minty treat after meals. Another thing that can alleviate heartburn in pregnancy in Celery juice. Celery juice restores and builds up your hydrochloric acid levels. Studies have shown that women lose over 80% of their hydrochloric acid during pregnancy! So in addition to our organs being squished, we lose a significant amount of our HCL which leads to heartburn. Celery juice is safe to drink while pregnant. If you struggle with nausea and can’t tolerate it, it is a great idea to start drinking it after you give birth to restore your hydrochloric acid. For more information on celery juice check out Medical Medium. What if I get sick during pregnancy? What can I take to help? As mentioned, you don’t want to over-do it while pregnant. However if you feel a flu or illness coming on, you can take some things to help minimize and treat your illness for a short period of time. The following are safe to use in pregnancy and can help your illness. Zinc- the backbone of the immune system. In addition to Vitamin C, zinc can regulate your immune systems response to illness and help you fight the virus and bacteria quickly. If you get a sore throat you can gargle liquid zinc + water and help your sore throat dissipate quickly. Liquid zinc sulfate is the preferred source of supplemental zinc. You will also want to take additional vitamin C when you feel an illness coming on. Elderberry is a fantastic herb for boosting the immune system and fighting off viral infections. 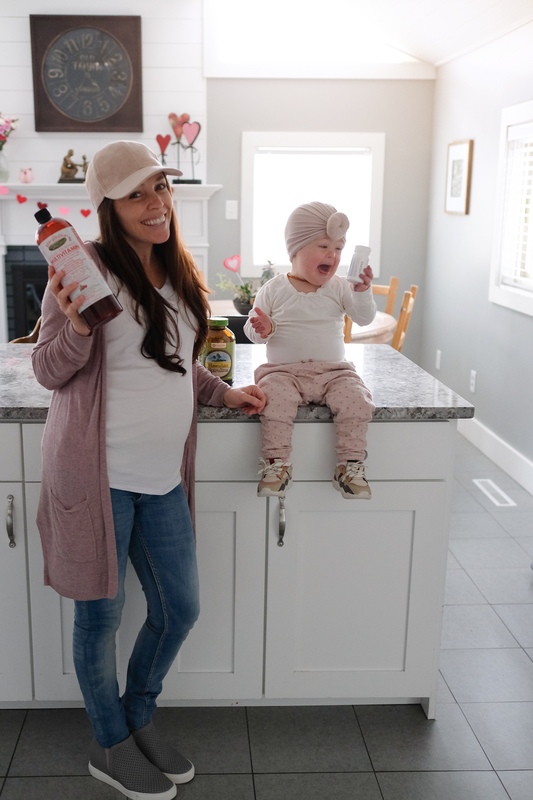 Its use in pregnancy has been controversial, as most herbs are, but there are many women who take elderberry as needed during pregnancy and have done well. There are no studies that prove elderberry to be unsafe in pregnancy. You can take capsules or liquid. I like the Gaia brand. Colloidal silver is known as “natures antibiotic”. It is also great at boosting the immune system and is safe to take in small amounts and short term in pregnancy. You can start taking when you feel a sickness coming on and take throughout the duration of the illness. Take a smaller dose than what is recommended on the bottle. You have to be careful with colloidal silver however, not all of them are created equal. The formulation must be prepared correctly or it can have adverse affects. Sovereign Silver is the only brand I personally trust and the only brand I take. It is a miraculous & powerful supplement to have on hand always! Make sure you allow yourself to get plenty of rest and drink your pregnancy tea if you get sick while pregnant, and drink a lot of fluids keep yourself and baby hydrated. Dehydration can cause contractions and potential pre-term labor. As always, do what feels right for you and discuss these things with your midwife or doctor. This is not meant to be medical advice, this is simply me sharing what has worked for me and what I have found through research and learning. I always love all of your wisdom knowledge! Terah! This is awesome! Following MM guidelines what do you think about protein and fats in pregnancy? Do you think about it much? Thank you for reading! I think essential carbohydrates from things like fruit and potatoes are way more important during than pregnancy. I know there is a huge emphasis on fat and protein, but a babies brain develops from essential sugars! I personally have not worried about fat and protein intake during this pregnancy.